Sometimes, I’m pretty good at this. At the end of last week’s show, I predicted that Josh Levi and Carlito Olivero (who I always pick) would be the two going home. But my sleeper pick was Lillie McCloud. If this were an actual singing contest instead of a popularity contest, McCloud is a shoe-in for the final three and possibly wins. But that’s not what this is. Early on, her story was strong. She’s a grandmother who looks twenty years younger than her age who had a music dream that was lost and this was her comeback. I felt that they started to lose interest in her. Much of the voting on shows like this is heavily influenced by the production. It seemed like there was less and less attention to Lillie’s story. Was it by design? Who knows. But I do think that they started paying less attention to her and thus, because of it, one of the best voices on the show can go home very early in the ball game. 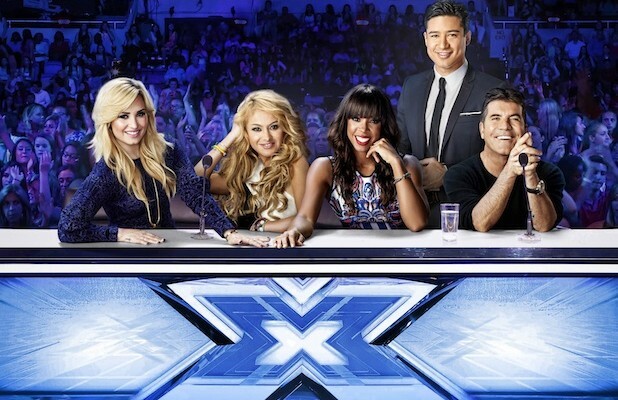 It’s time for this week’s X Factor USA recap. Each act performed two songs so they could make sure to keep us in front of the TV for two hours like always. The first song was a diva song, which seemed to be there so that guys would have to perform powerful songs by female artists. The second, and better song for most, was the unplugged performance. It was yet another strong night, but I’ll keep it at my favorite two. My favorite performance of the night was by Rion Paige, who has taken this show by storm. Her first song was a Carrie Underwood cover and she made a lot of ugly faces in the performance. But her second song was Glass by Thompson Square. It was the perfect touch of emotion and vocals I’ve seen so far on this season. Tremendous. What was my second favorite performance? Well, I’m biased toward Sierra (and really, this groups should be called Sierra & Alex rather than Alex & Sierra), but this time, I didn’t have to be. I enjoyed both of their performances. They did Destiny’s Child’s Say My Name which was fun, but their second performance was mean. It’s a song I hadn’t heard of until today called Say Something by A Great Big World. Sierra went behind the piano and you could tell she was nervous and her hands were shaking. But she delivered, Alex brought the chops, and it was magnificent. Have I mentioned that Sierra is fine? Duds have been hard to find these days. I’d say the worst song choice was Ellona Santiago’s If I Were A Boy. The irony of that song is that if Beyonce were a boy, she’d be about 1/10th as famous as she is. I don’t mean to pick on Carlito Olivero, but Let’s Get Loud was probably the worst performance of the night. Two go home again. One of them has to be Carlito right? If he doesn’t go, I think the show is worse off next week. There’s another act that’s set to go home next week and while I think it should be Restless Road, I think their fans will save them. (By the way, I thoroughly enjoyed Emblem3 last year and haven’t yet looked forward to watching Restless Road.) I think it could be between Jeff and Ellona. I’ll say that Ellona goes home as a surprise.